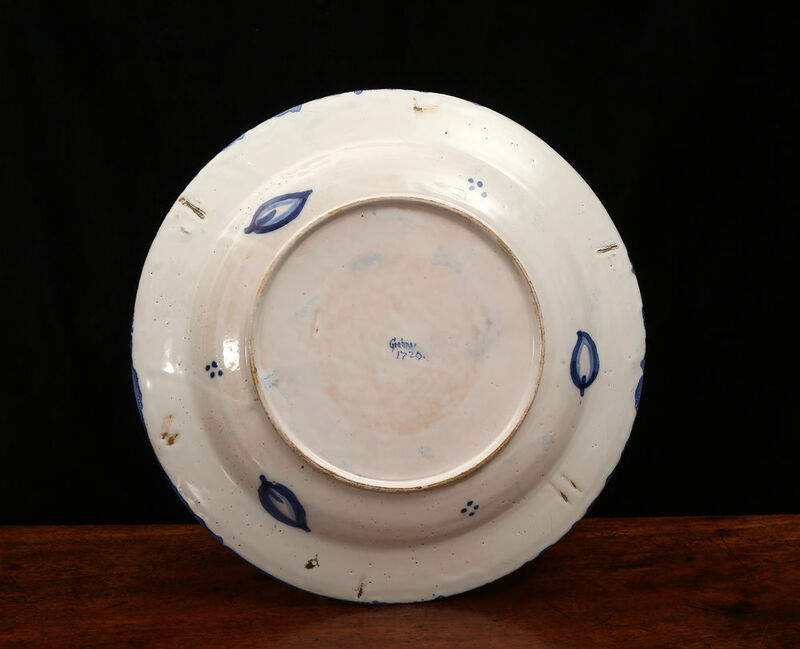 The centre of the dish painted with the Sacrifice of Isaac within a border divided into eight quatrefoil roundels. Georg Friedrich Grebner (active from 1715-31) was one of the earliest painters who is recorded as having worked for the Nürenburg Fayencemanufactur. 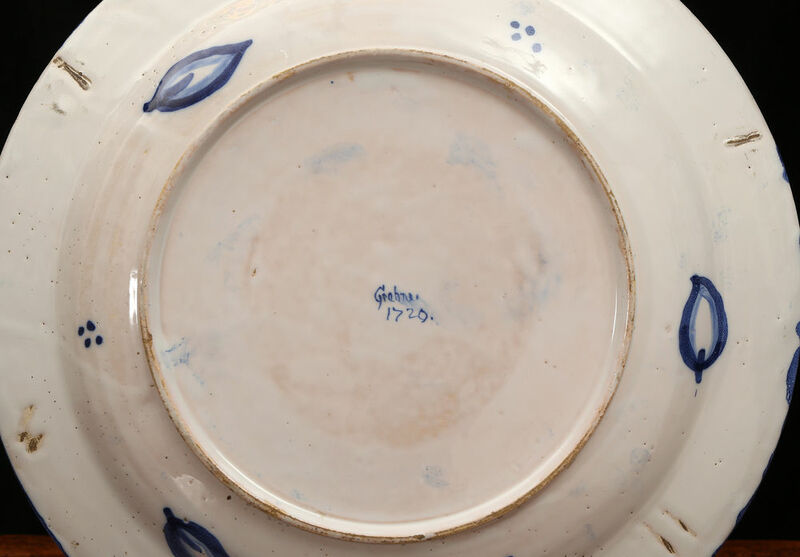 According to Sylvia Glaser (see below), there are 39 known dated and signed pieces by him. Another of the same series, depicting the Baptism of Christ, is in the Kunstgewerbemuseum in Berlin (92.1423). 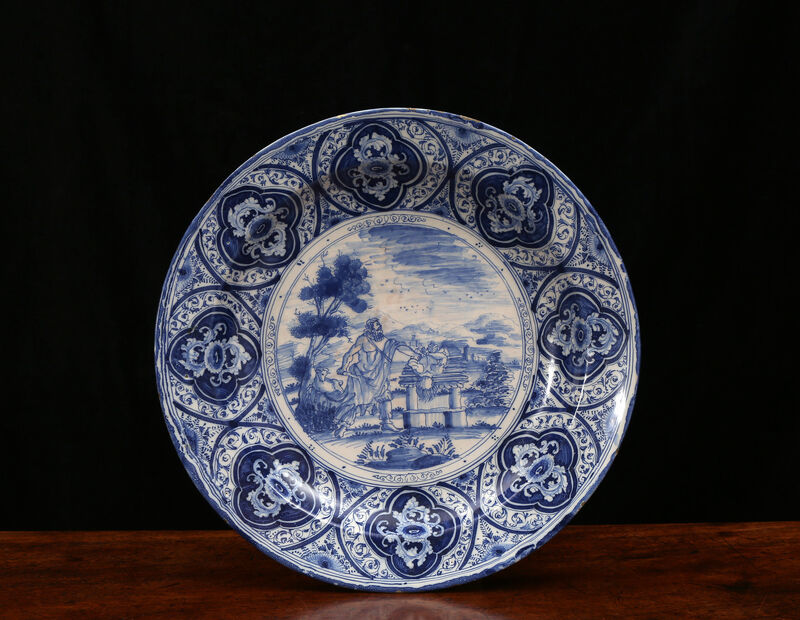 Another, slightly smaller dish, with the same scene is in the Würzburg-Luitpold Museum.